CLEMSON, S.C. - Alex Binelas lined a solo homer in the 11th inning to lift No. 8 Louisville to a 7-4 victory over No. 13 Clemson at Doug Kingsmore Stadium on Sunday afternoon. The Cardinals improved to 24-8 overall and 10-5 in the ACC. 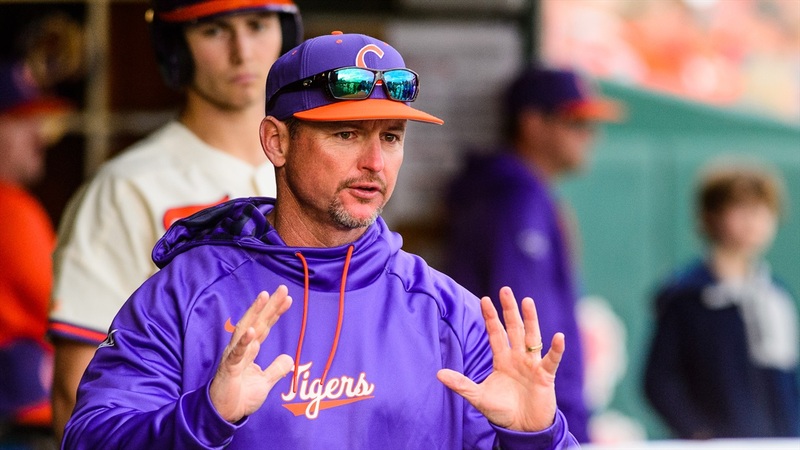 The Tigers, who won the series 2-1, dropped to 24-8 overall and 11-4 in ACC play. Lucas Dunn hit a run-scoring single in the second inning, then the Cardinals added two runs in the top of the third inning on Zach Britton's sacrifice fly and Henry Davis' solo homer. Clemson responded with three runs in the bottom of the third inning on Sam Hall's sacrifice fly and Logan Davidson's two-run homer, his ninth of the season, to tie the score, then James Parker ripped a two-out single on an 0-2 pitch to score Bryar Hawkins in the fourth inning. Tyler Fitzgerald lofted a sacrifice fly in the seventh inning to tie the score. In the 11th inning, Binelas laced a one-out homer to right field, then Drew Campbell added another solo homer with two outs and Tyler Fitzgerald flared a run-scoring single.